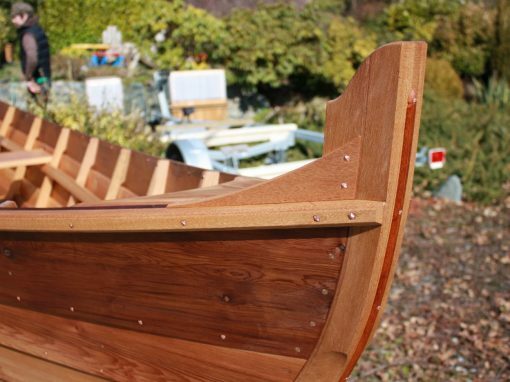 Traditional construction means that the structure of the boat’s framework and planking is assembled using solid wood and mechanical fastenings. There are a variety of planking methods. Each method has advantages over the others and results in different characteristics and appearance. 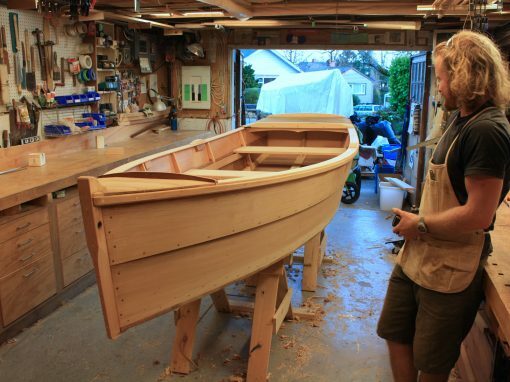 The finished hull relies on accurate tight joinery and swelling of the wood to achieve watertightness. Carvel (smooth skin) and Clinker (lapstrake) planking methods are the most common. 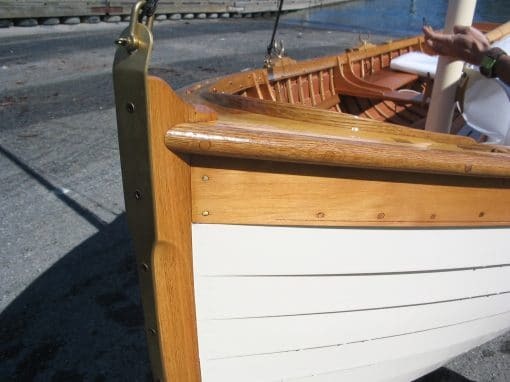 Solid wood planks are fastened to steam-bent ribs or sawn frames with clench nails, copper rivets, screws or even wooden trunnels (tree nails). This type of construction goes back to the age of the Vikings and is just as relevant today. 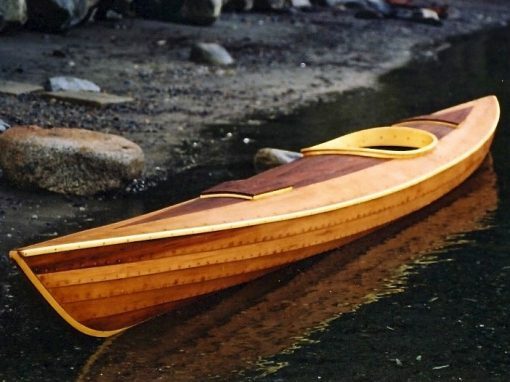 Robust and easily repairable, these craft can last for generations. 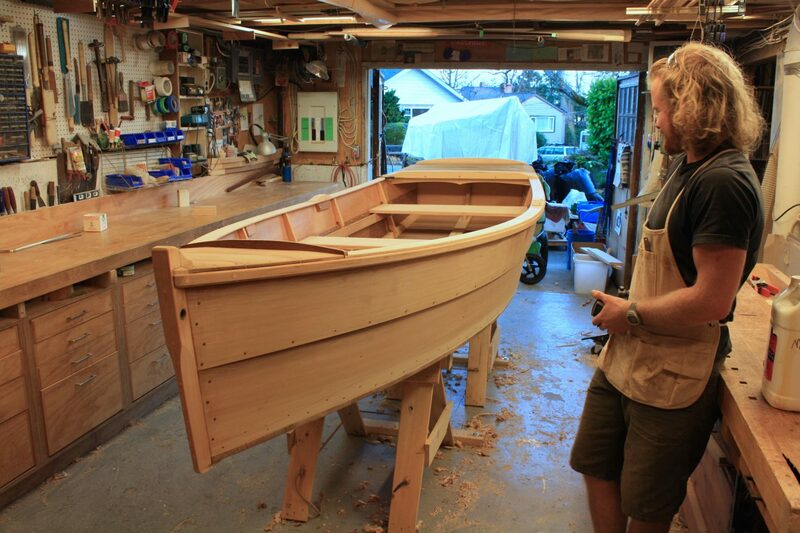 This type of construction requires more skill, but is a truly pleasurable experience. In some cases, traditional construction is faster than modern construction, as you rarely have any down time in the process. 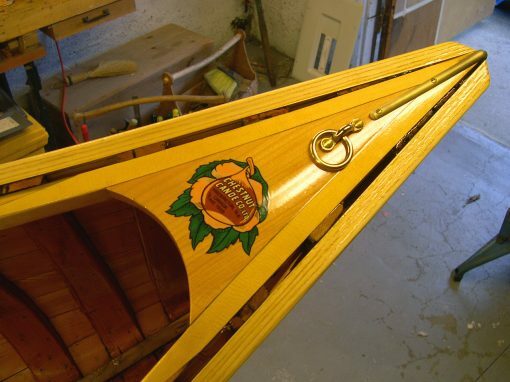 The completed boat can go with a simple oiled finish that is fast to refresh each season and will impart a dark aged quality, or paint and varnish can be employed to keep them looking fresh and new. 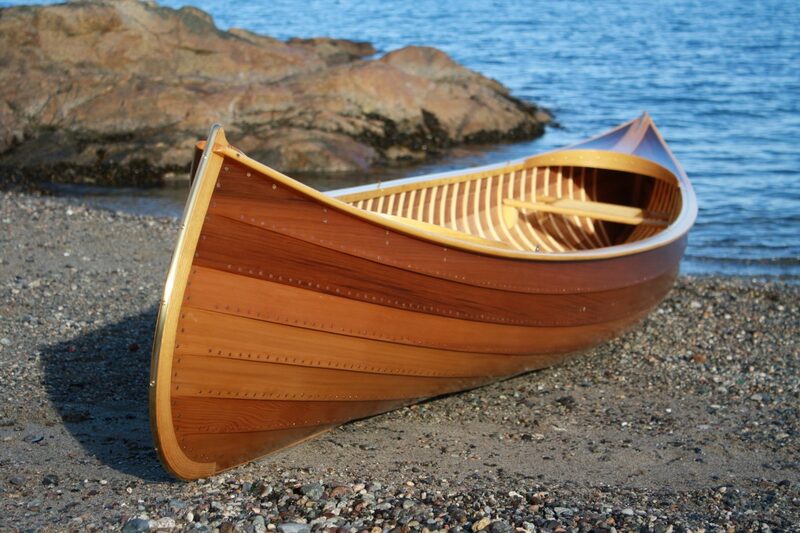 We built this skiff for Parks Canada to use as a permanent exhibit at the Fisgard Lighthouse National Historic Site. Built in 1860, the lighthouse was the first on Canada’s west coast and is still in operation. This single touring design, from the Bear Mountain Boat Shop, was intended for strip building. 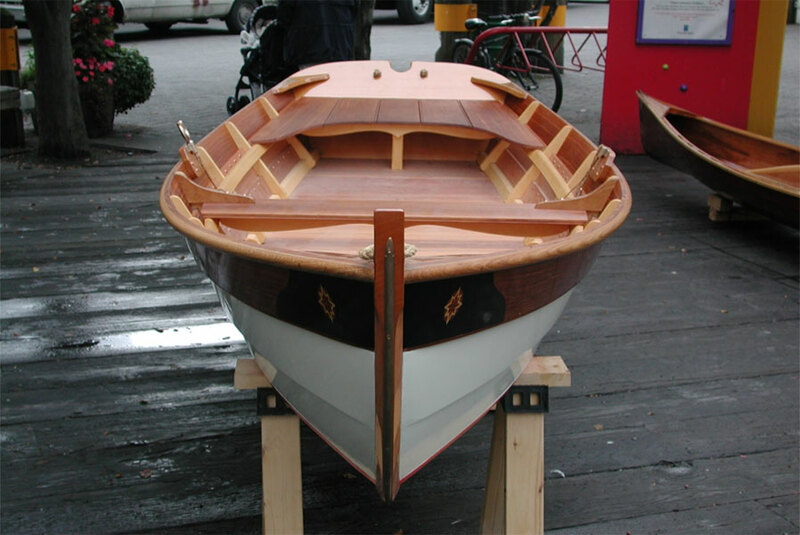 I have modified the design slightly to allow for traditional clinker construction on the hull and shiplap construction on the deck. 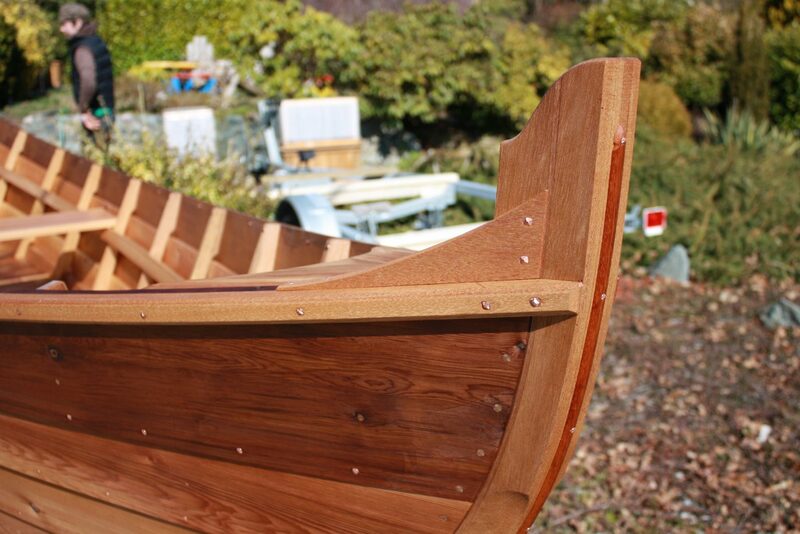 Heidi is a lively skiff that gets her looks from the dory family. 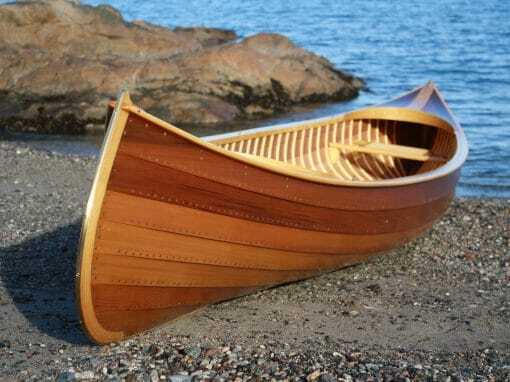 Unlike a typical dory, though, she has a wide cross-planked bottom and low freeboard, making her an excellent choice for the fisherman who wants a stable platform for casting. 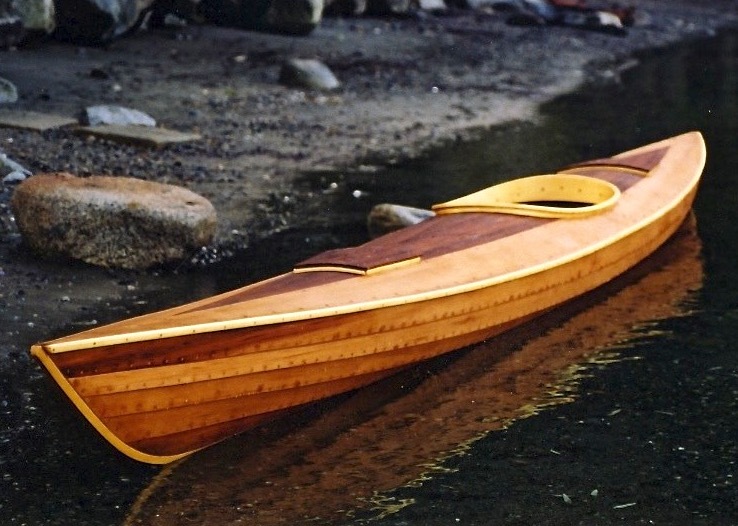 This is an example of a classic Canadian canoe fashioned using the lapstrake or clinker-construction method. The individual planks overlap each other by 1/2″ and are fastened together with small copper tacks that are clenched over on the inside. 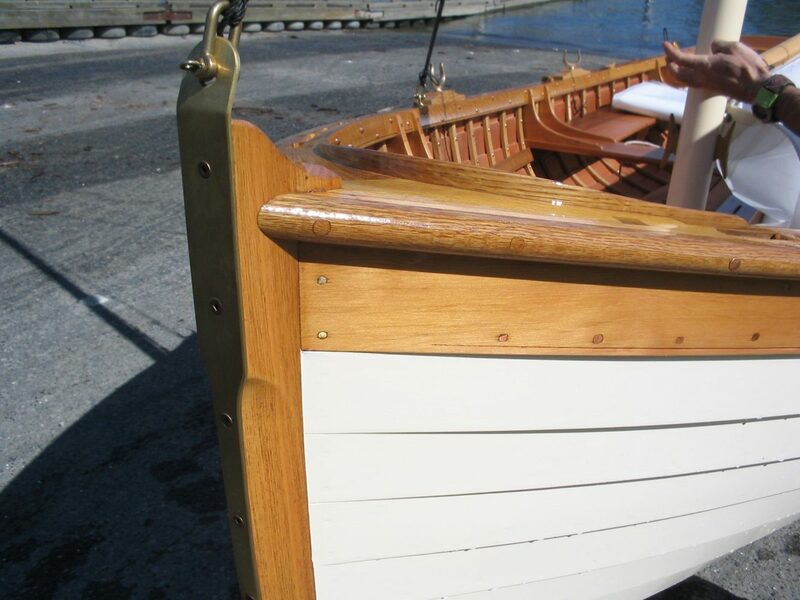 Water-tightness is achieved by nothing more than good joinery and swelling of the planks. Designed by Paul Gartside, Skylark is a stable, beamy daysailer suitable for up to four people. 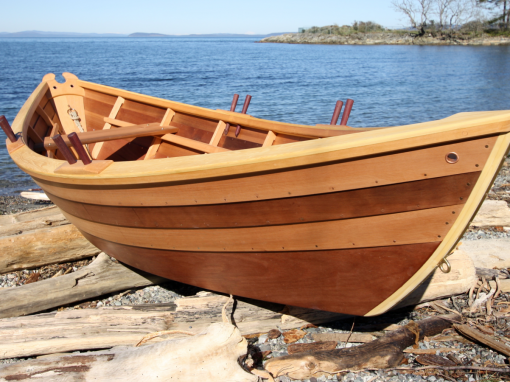 With traditional clinker planking over steam-bent frames, Skylark has robust construction throughout. Fitted with a galvanized steel centerboard and either a Sliding Gunter, or Lug rig.